When playing instruments such as clarinet, saxophone, oboe, and bassoon, the reed can make all the difference. This thin little piece of bamboo can determine the control one has over his instrument, or even the kind of sound and style he wants to make. Without a reed, these instruments will not make any sort of sound — it is of the utmost importance that students select reeds that are appropriate for their skill level and targeted sound. In regards to saxophone and clarinet, it is often best if a completely new student starts out on a Rico 2. I have personally found that when students start out on a 1.5, they do not build sufficient air support, and they have trouble when trying to advance their skills. However, with a 2, students are able to make decent sounds after some practicing, but there is enough resistance that they begin to develop strong air support. After, about two years of playing (or if their tonal quality gets worse as they start to play with more air), students should move up to 2.5 and look at upgrading their mouthpieces. When I interviewed SJSU Music Education and Performance major Rafael Maldonado, he emphasized the importance of the mouthpiece when choosing a reed, and that most of his colleagues at the college level and in the professional world use between sizes 3 and 3.5+ (which is essentially 3.75). It takes experimentation with the reed, the mouthpiece, and the ligature, too. 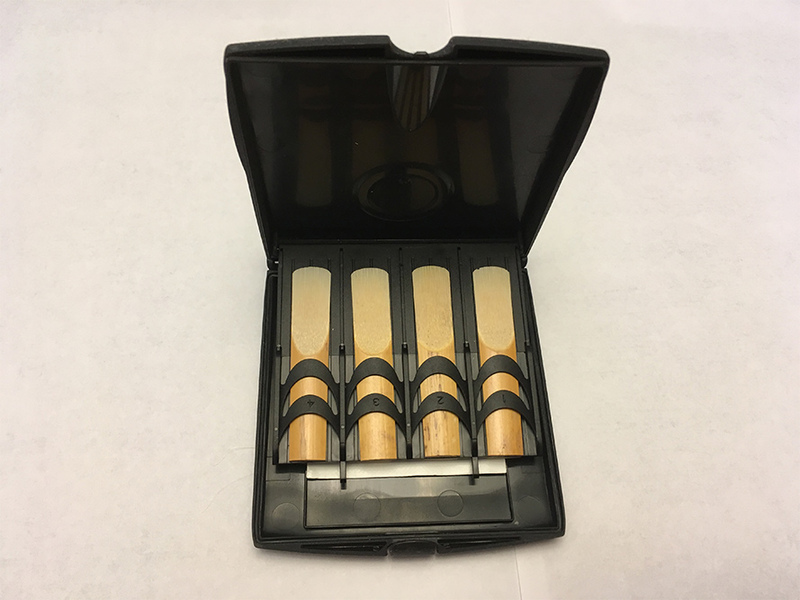 With a stronger reed, one has the ability to play louder and with a fuller tone, but with a weaker reed, one has more control over the volume and inflections. In my own experience, I liked a weaker reed for my jazz groups so it was easier to bend and scoop, and I wanted as pristine a sound as possible for my wind ensembles. As students and teachers, experiment with different reed sizes and brands (a Van Doren 3 is much stronger than a Rico 3) to try to find what works best for you and your students. At local music shops, you can often purchase a single reed to try rather than buying an entire box of ten reeds (such as on Amazon.com). It is a fun experience to see what sounds you can make and what works best for you. There are some general guidelines as we outlined here, but more important than anything else, have an open mind and do not to get frustrated if you are having trouble finding the perfect reed. It takes time and practice — enjoy! Previous Previous post: March Fourth!